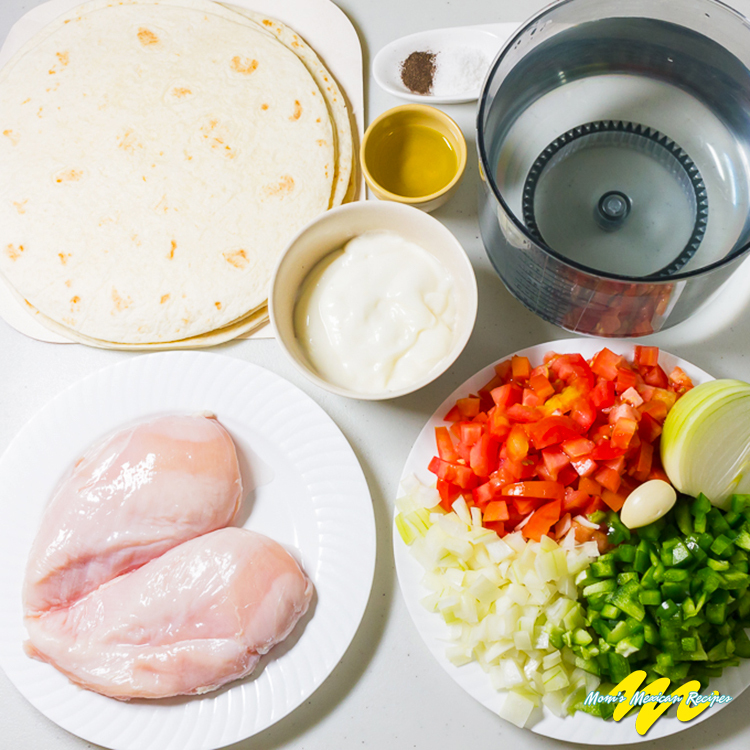 The Chicken Burrito recipe provides an uncomplicated means of preparing a wholesome, fast food.Fast, in that the main ingredients of Chicken and Flour tortillas can be stored in the fridge and kept ready to eat at a moment notice. 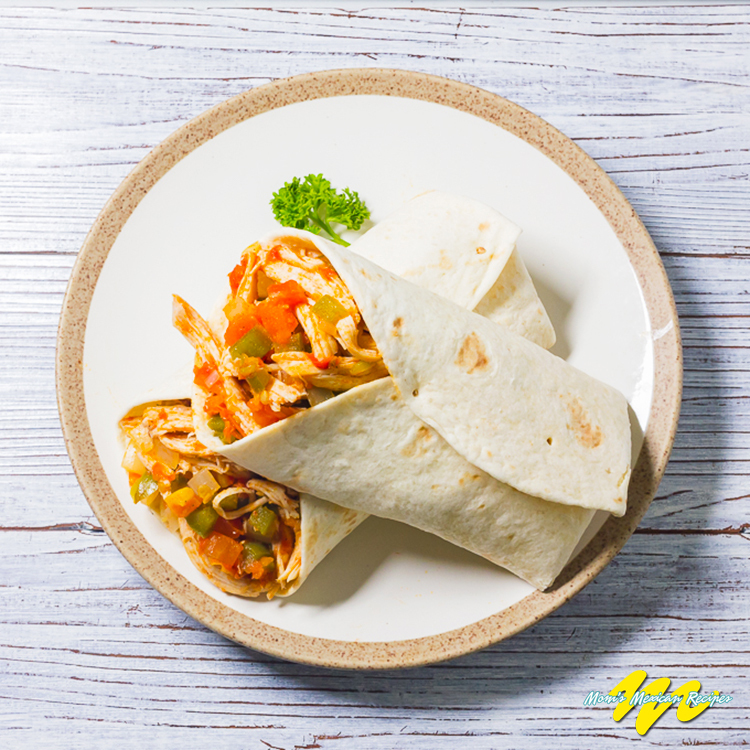 It is a great means of satisfying a hungry appetite at lunchtime or wrapped in aluminum foil to be reheated and enjoyed at a later time.The chicken burrito is a tasty snack for any time of the day. It is equally suited as a main course along with salad, Mexican rice, and guacamole. 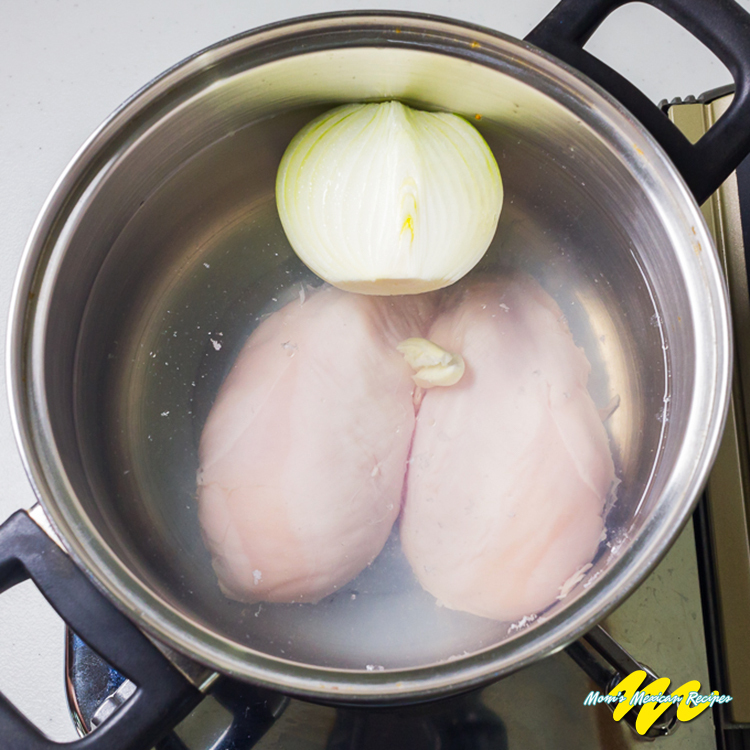 Cook the chicken in a pot with water, garlic, and the ½ onion. 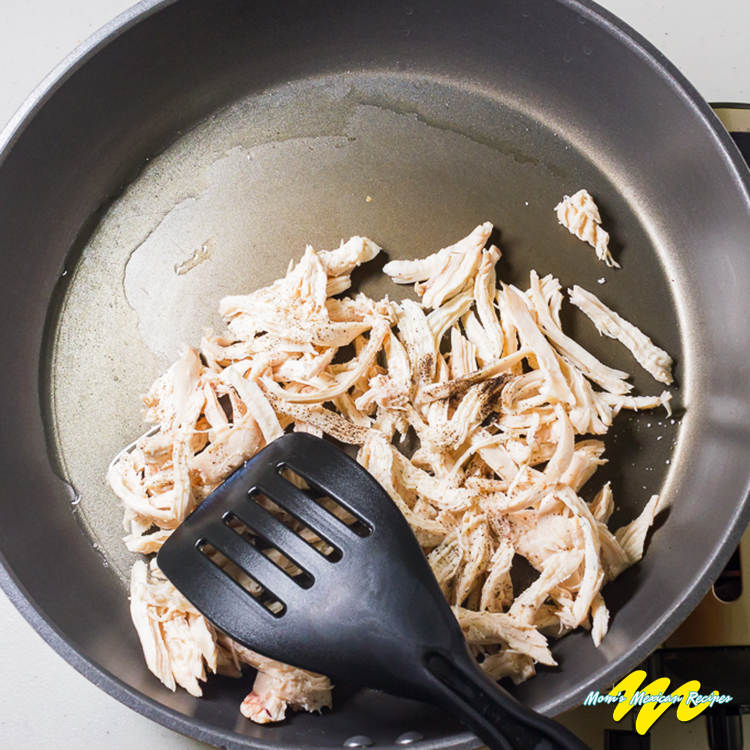 Once cooked, remove the chicken from the broth and allow to cool then shred. Season the chicken with salt and pepper and fry until golden brown. Add the chopped onion, the green sweet pepper, and the tomato. Once the onion becomes transparent add 1 cup of broth from the pot where the chicken was cooked. Heat and prepare the flour tortillas: spread the mayonnaise on top. 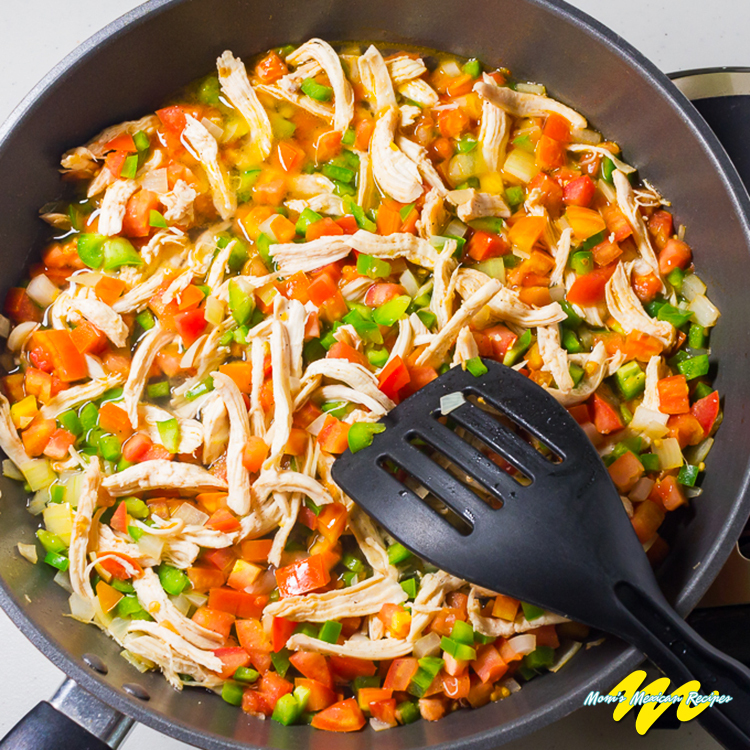 Put a portion of shredded chicken on each tortilla, then fold. The hot and spicy flavor of a chili pepper comes mostly from the interior seeds and veins, which can be removed to lessen the effect.